The 10 Best Consignment Shops in Mississippi! Everyone loves a great deal in Mississippi, and you’ll find some of the best ones in consignment shops. 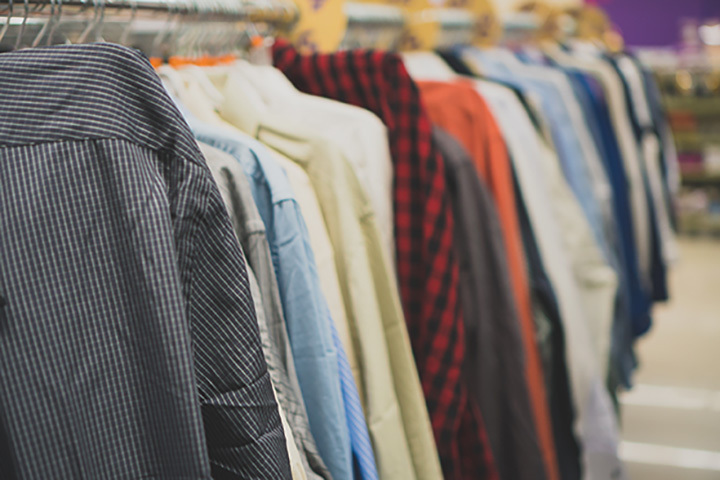 Unlike thrift stores, consignment shops usually receive higher quality, gently used items, then split the sale with the original owner of the item. It’s a great way to make a little extra money and get rid of your clutter at the same time. You’ll find some amazing treasures—at a steal!—at these 10 best consignment shops in Mississippi. This artsy consignment store is the vintage fashion lover’s best friend. Featuring the best of old school clothing and modern trends alike, you can scoop up one of a kind items that will make you the envy of all your friends. Not all of their items are there on consignment, but either way you're sure to find a great deal. Mixing fashion with furniture in over 17,000 square-feet of shopping space, there's no way you're walking out empty handed. Their inventory is constantly changing to bring you the freshest finds in town. The store itself is highly unique, and you'll enjoy wandering through the space just as much as you’ll love the treasures you discover. Musical instruments are usually expensive, but that doesn't mean you have to pay a fortune. They carry a huge inventory of gently used instruments, from guitars and amps to keyboards and new accessories like strings and picks. They're also a helpful resource for servicing your guitar. This Upscale Resale consignment store is focused on your favorite brands, including Gucci, Prada, Miss Me, Dooney & Bourke, and Vera Bradley. Their commitment to quality used items isn't taken lightly here, so you can always rest assured that even though it's a second-hand item, there’s plenty of life left. If you're in the market for high-end jeans, designer handbags, or evening gown a tire, this is the only place you need to go to. One walk through this children’s consignment store and you'll be surprised that the items are second hand. They carry everything from clothing to toys to baby furniture and more. Everything looks brand new and showroom ready, with bright displays, vivid organization, and a childlike friendliness that will make every trip an enjoyable one. For high-end fashions for all ages, this place is sure to become your new go-to favorite. Fans rave about the prices and high-quality items they find every time they shop. There's always tons of variety, and you'll leave happy knowing you never have to pay full price. Part antique store, part clothing store, you never know what to expect while you roam through this amazing consignment store. Customers love the easy navigation and organization here, which makes for a better overall shopping experience. If you decide to consign your clothing or your furniture with them, you get half the selling price. Specializing in furniture, home goods, jewelry, and more this place is more like a treasure trove for quality used items. You don't need to have a designer's eye to take advantage of the deals here. With so many amazing pieces to choose from, it'll be hard to leave without finding something you never knew you needed. Their fans would rather shop here over any big box store. Service is prompt and friendly and the store is organized and always full of hidden gems. Plus it's a busy store so consigning your items here give you the best chance of unloading them for good. This cozy baby boutique gets tons of new items on a weekly basis. Everything from hair bows and dresses to furniture, shoes, and toys, you'll find everything you need for baby and beyond. Consignors are always impressed with the amount of money they can make here.